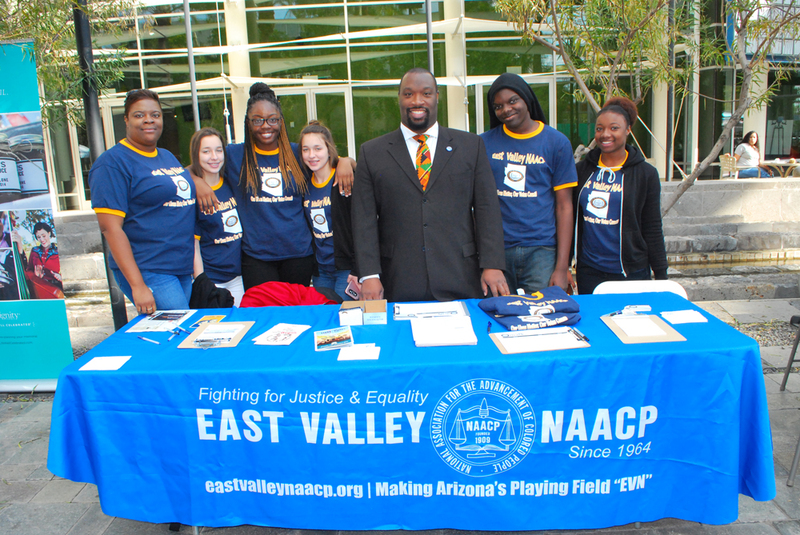 In alignment with the NAACP strategic plan, the East Valley NAACP is focusing its efforts on the six NAACP Game Changers to address the major inequalities facing communities in America today. Creating a powerful vision for the future, this strategic direction sets our advocacy agenda for the 21st Century. We are committed to enhancing the capacity of African Americans and other underserved groups through financial economic education; individual and community asset building initiatives; diversity and inclusion in business hiring, career advancement and procurement; and monitoring financial banking practices. In partnership with the Arizona Minority Business Alliance, our NAACP branch is working to bring opportunities for economic sustainability throughout the East Valley. All of our children deserve equal access to a quality education. The NAACP works to ensure that every disadvantaged student and student of color graduates ready for college or a career by ensuring access to great teaching, fair discipline, equitable resources and challenging curriculum. We are dedicated to eliminating the severe racial inequities that continue to plague our education system. It is the right of every American to have optimal health outcomes and access to timely, quality, affordable health care. Native Americans, African Americans and Latinos continue to have the highest incidence, prevalence and mortality rates from chronic diseases like cardiovascular disease, diabetes and obesity, and issues like HIV/AIDS. The NAACP is committed to eliminating the racial and ethnic inequities that exist within our health care system that undermine communities of color their life opportunities and their ability to contribute fully to the common good. 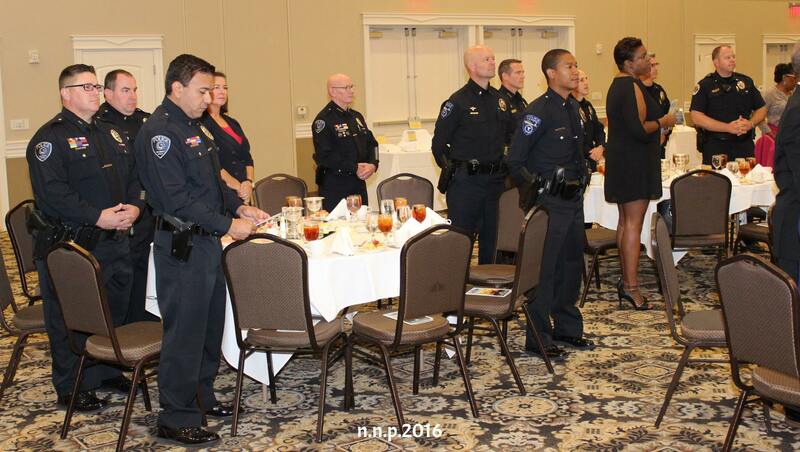 We were pleased to have the support of police officers from Tempe, Chandler, Gilbert, Mesa, and Scottsdale at our 2016 Freedom Fund Banquet. The NAACP advocates for smarter, results-based criminal justice policies to keep our communities safe, including treatment for addiction and mental health problems, judicial discretion in sentencing, and an end to racial disparities at all levels of the system. Here in the East Valley, we believe strategic relationship with our local police chiefs and sheriff are critical addressing community concerns. We host a variety of police forums and engage in advisory boards to promote community policing and ensure the safety of citizens and officers. 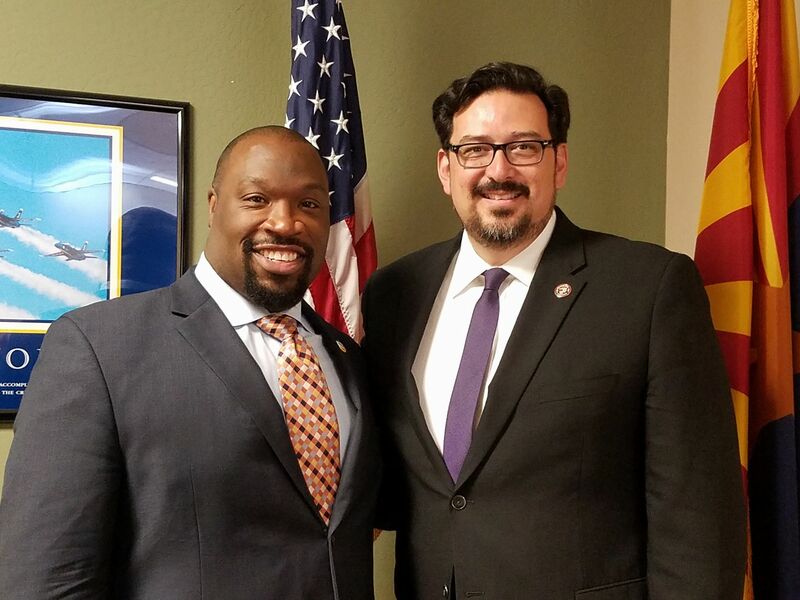 East Valley NAACP and County Recorder Adrian Fontes are partnering to ensure all voters have access to the ballot box. NAACP is actively engaged in increasing the responsiveness of citizens to be fully engaged in the democratic process. Every election matters and every vote counts and the East Valley NAACP is committed to empowering voters through education and access. We serve as a resource for information on local elections, ballot measures, and issues impacting communities of color. We support diverse representation amongst elected bodies and county, city and state boards and commissions. The NAACP is expanding the presence of youth consciousness in every aspect of the Association through significant attention to expanding engagement with key age demographics. The East Valley NAACP support a Youth Branch for middle and high school students to expose them to our democratic processes and the principles of civic engagement early in life. Young adult engagement is an expanding focus for the branch to increase policy research, development and advocacy on all levels.